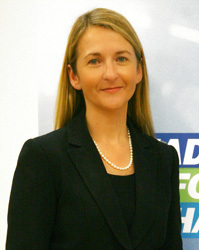 Two Brighton community groups have been given grants by the Sussex Police and Crime Commissioner Katy Bourne. She has given £300 each to the Patcham and Hollingbury local actions teams (LATs) from the Safer in Sussex fund. Mrs Bourne commended Councillor Wares and his fellow ward members Councillor Geoffrey Theobald and Councillor Carol Theobald for organising the successful grant bids. She said: “The ability to promote the local actions teams is a great example of an innovative local project that aims to make our communities safer. “Since launching the Safer in Sussex funding scheme in December 2013 I have made over £1 million available to more than 150 local crime reduction and community safety initiatives. “In May this year the scheme was expanded to provide financial support to local victims’ services. “In the most recent round of funding awards, over £200,000 was allocated to services that help residents who have been affected by crime to cope and recover. “I am delighted that the scheme attracts such a strong response which tells me local organisations and community groups care about – and are committed to – helping keep Sussex safe. The next window for funding applications will open in January 2016. For further information about the ‘Safer in Sussex’ funding scheme and how to apply visit http://www.sussex-pcc.gov.uk/apply-for-funding. • To watch Katy Bourne’s recent appearance on The Vote on Latest TV, see below. 6 things we still sort of enjoyed as Brighton & Hove Albion LOST to Middlesbrough.